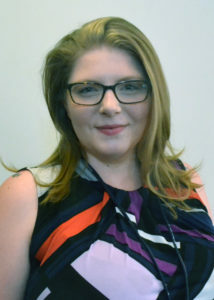 Kendra Andrew joined the Penn Memory Center in 2018 as an intern for Dr. Dawn Mechanic-Hamilton. She is primarily involved in the Memory Game study, but looks forward to assisting with other research projects. She completed her BS degree with a double-major in biology and psychology in 2015 from The College at Brockport, SUNY, and is currently a master’s student at Villanova University studying experimental psychology. Following graduation, Kendra plans to attend a doctoral program in clinical psychology with a specialization in neuropsychology to further explore neurodegenerative disease.